Bowing to pressure from allies and foes across the board, President Donald Trump signed an executive order Wednesday ending the process of separating children from families after they have been detained at the U.S. border. It was a dramatic turnaround for Trump, who had been wrongly insisting that his administration had no choice but to separate families apprehended at the border because of federal law, and who had earlier claimed that he could not reverse the situation with an executive order. Until Wednesday, the president, Homeland Security Secretary Kirstjen Nielsen, and other officials repeatedly argued the only way to end the practice was for Congress to pass new legislation, while Democrats said he could do it with his signature alone, as he did on Wednesday. One of the driving forces behind the change was the influence of First Lady Melania Trump, who has reportedly been urging the president to make changes for quite some time. Despite the immediate response the signing had to the policy, Trump supporters who were interviewed still believe the separation issue was caused by Democrats. When Trump signed the executive order on Wednesday to end forced separations, they suggested the “end justified the means,” and it was the fault of Congress rather than Trump. Congressman Phil Roe experienced some immigration issues of his own this past week as he appeared at a press conference in Johnson City Monday to announce the kick off to his re-election campaign. 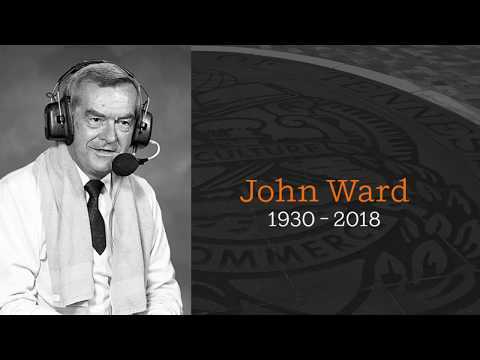 Sadness filled the state and beyond this week, as the news of the passing of legendary voice of the Vols, John Ward, died Wednesday evening after a lengthy illness. He was 88. As the radio play-by-play broadcaster for Tennessee sports from 1965-99, he was known for his unique style with such phrases as the iconic “It’s Football Time in Tennessee” right before kickoff. Ward’s final football broadcast was the Vols’ 23-16 win over Florida State in the 1998 Fiesta Bowl National Championship game, but his influence on the game and the fans of UT sports has lived on since, and will continue to do so. Workers have been hard at it for the past few weeks at TVA Credit Union Ballpark preparing for tonight’s Johnson City Cardinal’s 7 p.m. home opener against the Kingsport Mets. The Cardinals have made some significant changes to the stadium. New box seats have been installed and a second lounge area has been added on the first-base side. In addition, two giant ceiling fans have been installed in the grandstands to help circulate the air. Fans will also notice the new lights that have been installed on the playing field, and in the concourse area, the Kids Zone has been expanded and a new team store has been built. Friday is magnetic schedule night. Saturday is Paul DeJong bobblehead night and local country band JB 5 n Dime will put on a performance in the concourse before the game.